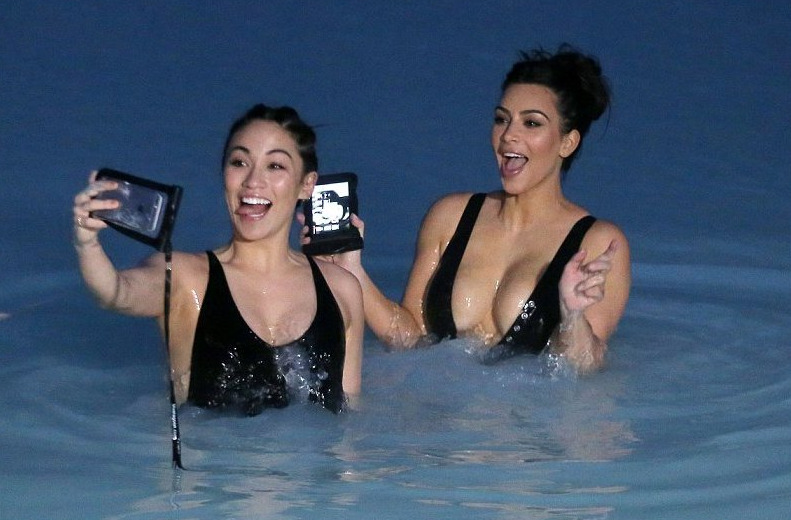 The Kardashian clan came to Iceland, and then they left, but now photographs of Kim having fun in one of Iceland's most popular tourist spots, the magical waters of the Blue Lagoon have been published, on fan page KimKanyeKimYe. The Kardashians are rumoured to have filmed an episode of Keeping up with the Kardashians in Iceland. Notably, the photos are of Kim in a very revealing swimsuit and full make-up accompanied by her assitant, Stephanie Sheppard. Kanye West however, remains fully clothed, and seemingly quite bored.